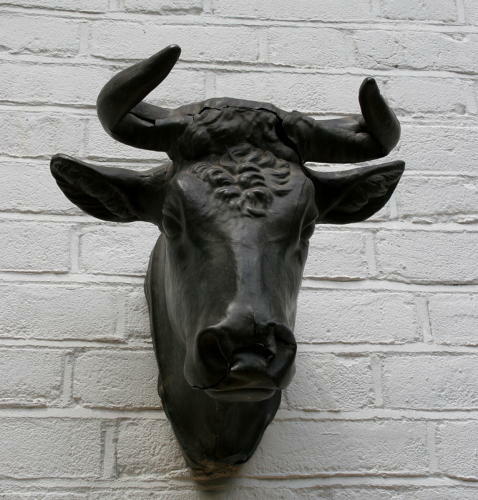 Late 19th century French zinc Butchers display shop sign in the form of a cow. damages. good size.